King Felipe and Queen Letizia of Spain today kick start the events of annual Princess of Asturias Awards in Letizia’s hometown Oveido. 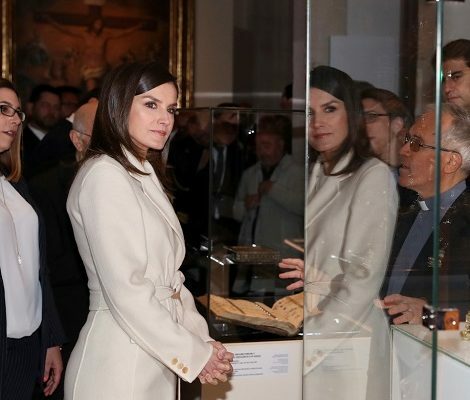 In the morning Queen Letizia met with Italian- American Film Director Martin Scorsese. 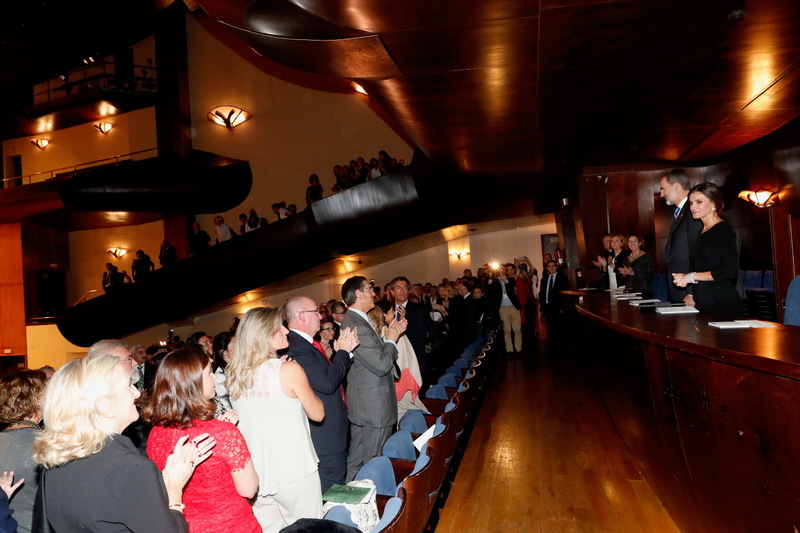 In the late afternoon, the royal couple presided over the XXVII Princess of Asturias Awards Concert at the “Prince Felipe” Congress Palace Auditorium organized by the Princess of Asturias Foundation and CajAstur Liberbank. Upon his arrival, Don Felipe and Doña Letizia were received by the President of the Principality of Asturias. The Princess of Asturias Awards ceremony is the main activity carried out by the Princess of Asturias Foundation, a non-profit private institution whose objectives are to contribute to the exaltation and promotion of all scientific, cultural and humanistic values ​​that are universal heritage and consolidate the existing links between the Principality of Asturias and the title traditionally held by the heirs of the Spanish Crown. King Felipe has been Honorary President of the Foundation since its inception in 1980. 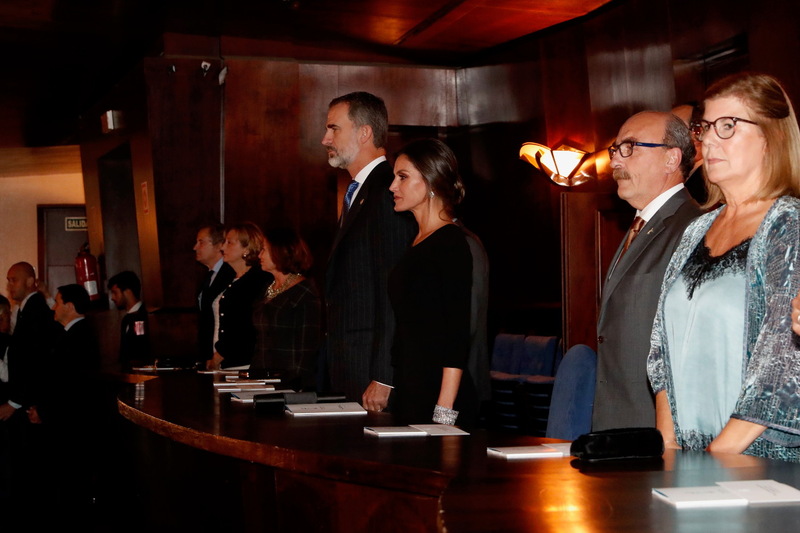 Following his proclamation as King of Spain on June 19, 2014, the Princess of Asturias Leonor holds the Honorary Presidency of this institution. 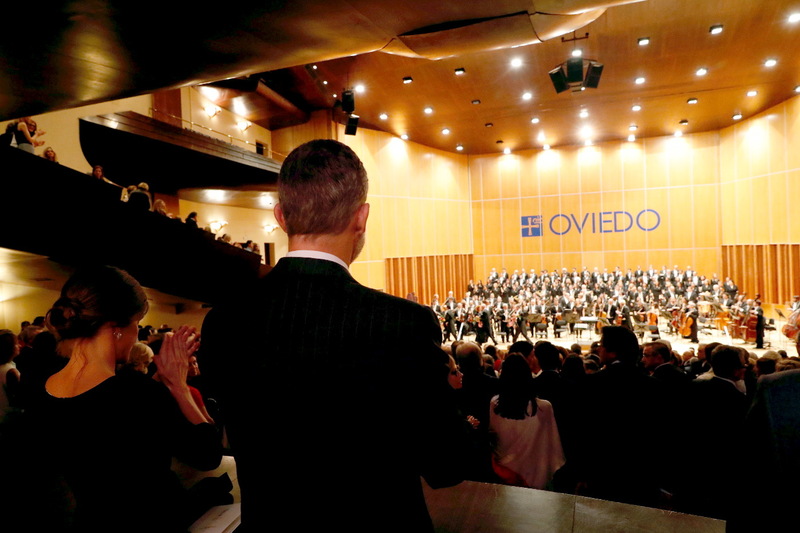 The ceremony that is traditionally held at the Teatro Campoamor in Oviedo is considered one of the most important cultural events on the international agenda. Throughout its history, these awards have received different recognistions, such as the extraordinary declaration that UNESCO made in 2004 for its exceptional contribution to the cultural heritage of humanity. 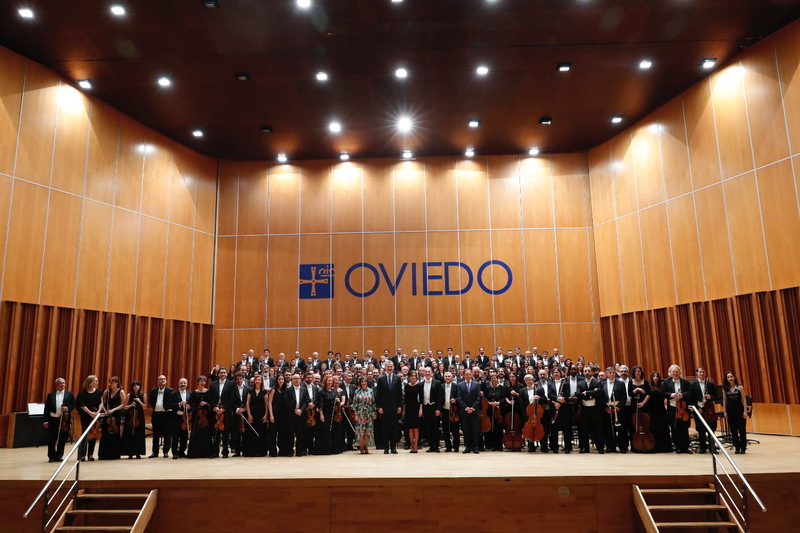 The event began with the choir performance of “Stabat Mater” by The Choir of the Princess of Asturias Foundation, together with the Symphony Orchestra of the Principality of Asturias. After the event, the royal couple greeted the Symphony Orchestra and met with dignitaries attending the concert and tomorrow’s awards ceremony. Before leaving, Felipe and Letizia greeted the members of public gathered outside the auditorium. After the concert, King and Queen attended the dinner hosted by the President of the Princess of Asturias Foundation at the Lonja de la Plaza Trascorrales for the royal couple and attended by the members of the Foundation’s Patronages and the winners of the Princess of Asturias Awards. Asturias 2018. For today’s musical event, Letizia wore Black Emprorio Armani Ruffled Dress. Keeping her looks minimal yet stunning the dress was elegant and suitable for the occasion. The $622 dress is described as, ” Bringing a demure feel to a contemporary midi length, this dress from Emporio Armani is guaranteed to become your new staple piece of the season. Adorned with a full asymmetric ruffle, the elegant round neck and slim sleeves create a streamlined,modern feel to the timeless piece”. The dress is currently retailing at Harrods. Letizia paired the dress with black suede sling back Carolina Herrera pumps. 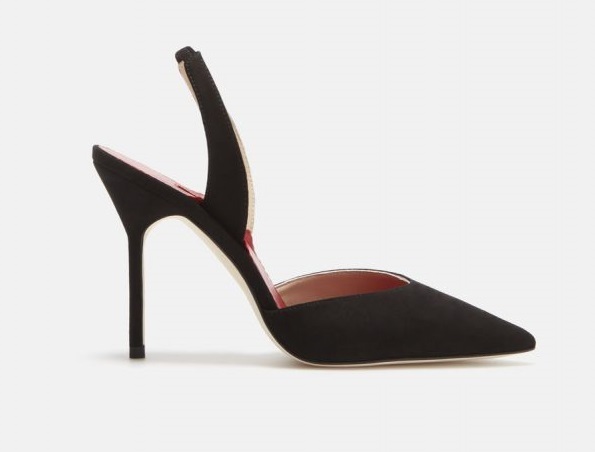 The style is Letizia’s favourite one and she own the same pumps in 4 different colours. 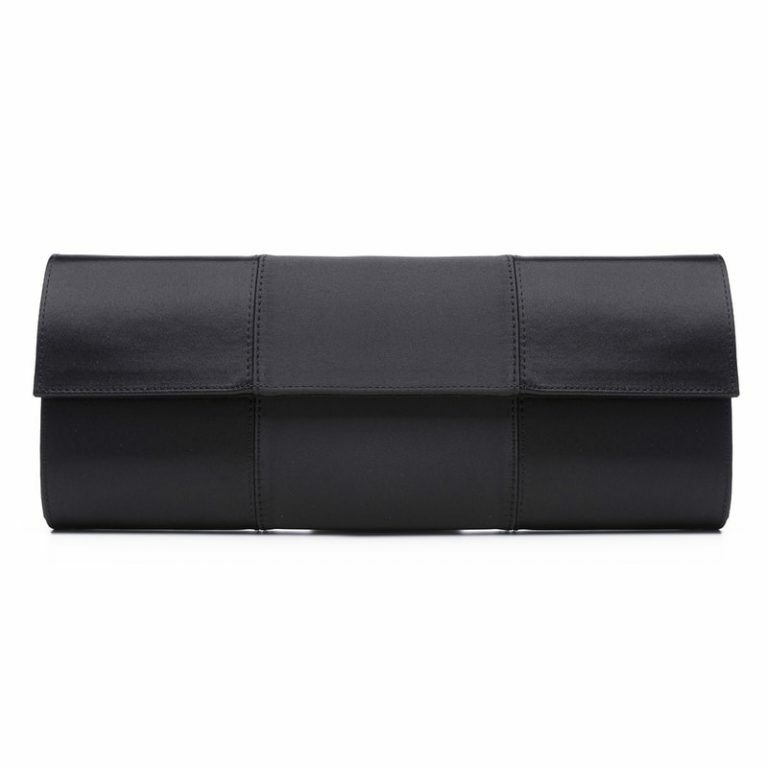 She was carrying Magrit satin suede clutch today. She also owns the same style in red. Queen finished her ring with diamond jewellery that once belonged to Queen Victoria Eugenia and passed to Spanish royal ladies historically. She was wearing Chatons earrings and twin diamond bracelets. Both pieces are made from Cartier tiara that King Alfonso XIII gifted to his wife Queen Victoria Eugenia.